A Tribe Called Quest's final album We Got It From Here, Thank You For Your Service" has been certified gold by the RIAA 8 months after its release. The announcement was made by honorary Tribe member Busta Rhymes on his instagram account. "After a 18.5 year hiatus a Gold album certification for We Got It From Here, Thank You For You For Your Service," the instagram caption read. "A testament to the real power of quality hip hop music. Thank you to my brothers of #ATCQ for allowing me the opportunity to be part of greatness again." "We Got It From Here, Thank You For Your Service" is the group's first gold plaque in 18 years and first album following the untimely death of Phife Dawg in March 2016. 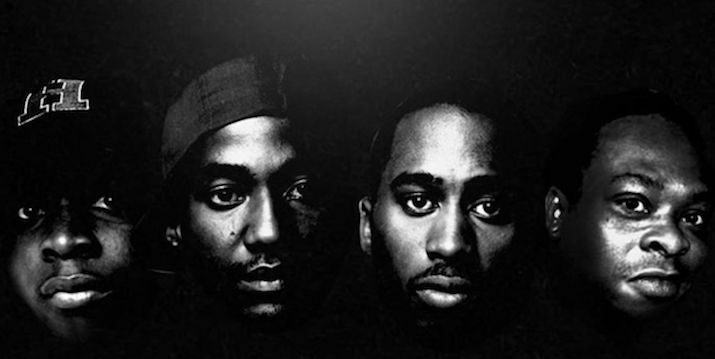 The fit also means that all six of ATCQ's albums have attained either gold or platinum certifications. The LP featuring the likes of Kanye West, Kendrick Lamar & Andre 3000 was released in November 2016 and debuted at No. 1 on the Billboard 200 chart. After a 18.5 year hiatus a Gold album certification for We Got It From Here, Thank You For You For Your Service. A testament to the real power of quality Hip Hop music. Thank you to my brothers of #ATCQ for allowing me the opportunity to be apart of Greatness again. I'm very proud of this one. #PHIFEDAWGRIPKING! !